I think I have finally come to grips with the fact that I will never be able to make Africa meat stew as good as “mama” (proper way to refer to older women) makes it. I’ve tried 4-5 times to make it in order to replicate Africa upon return to the states, but it always tastes like Mzungu meat stew. I’ve gone as far as ask multiple “mamas” on cooking techniques and have been taught by the best on meat stew preparation. I think it’s getting better, but I am about to hire someone for cooking lessons. Time is running out! Let’s see. What’s been going on lately other than food? Oh, last week I decided it was time that I venture out onto Lake Victoria for a little fishing action. In Uganda, you hear people talking about going to the beach this or that weekend and I always think the exact same think, “Wait, what beach? Uganda is landlocked.” To which they reply, “Lake Victoria’s beach”. Haha, it’s always funny to hear people refer to a lake’s beach when you grew up in California. We have real beaches! Anyhow, three friends and I decided to join the fishing tournament with the top prize for the largest Nile Perch. 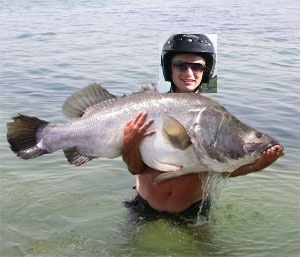 Now, ever since watching River Monsters, catching a Nile Perch has been on my person bucket list. Some facts about the Nile Perch: it’s one of the largest fresh water fishing reaching 440 Ibs, it can get up to 6 feet long, it fights like heck, and they can breathe out of water for up to 12 hours (okay, I made this one up but the fish is impressive). Anyhow, to make a long boring story short, we fish all day catching one fish around 3 Ibs (a minnow) with another fish (on my line!) spitting the hook at the last minute only to find that my fish would have taken second in the tournament winning tons of cool stuff like reels and tents and stuff. Overall, only around 4 fish were caught between 10 boats which can be explained by gross amounts of overfishing (people actually use subsidized mosquitos nets to illegally catch juveniles significantly depleting the population). Anyhow, not much else has happen in the last week or so. Oh, I got to attend a really powerful Lord’s Resistance Army reunion at my church where boys from the army got reconnected into the society of Gulu and people shared how they forgave each other despite horrific things that happened to their family and friends. It was quite surreal. Also, I had the opportunity to play chess for a few hours with locals at a restaurant at the tennis club I play at. It was really funny because they were obviously making fun of me at the beginning, but after a quite a number of wins, people definitely quieted up a bit. Lastly, I couldn’t leave you without a picture of the Nile perch that I hauled in (No big deal). Don’t ask me why I was wearing a helmet.